Spice up your weekday lunch routine! 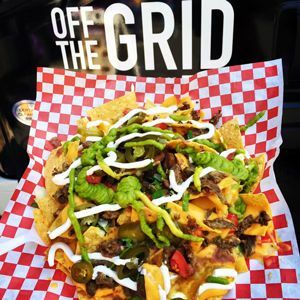 Off the Grid Sacramento has launched a weekly food truck event series in the City of Rancho Cordova. Every Thursday from 11 a.m. until 2 p.m., a pop-up food market features local food trucks at Rancho Cordova City Hall, 2729 Prospect Park Drive. From lobster rolls to burgers to gyros, Off the Grid brings plenty of options to our community. This weekly food truck event offers unique lunchtime options for those who work in Rancho Cordova’s business park or live in the nearby neighborhoods. Visit www.offthegrid.com/sacramento for the weekly food truck line-up and other events in the Sacramento region. Download the Off the Grid App or sign up for Off the Grid’s newsletter. Be sure to also check out Off the Grid on Facebook, Twitter and Instagram.